We're going to be sharing more yeast recipes this year so here's a fun Donut recipe made with yeast. Put the yeast in a small bowl, add a pinch of sugar and about 2T of lukewarm water to activate the yeast.Give it at least 3 to 5 minutes until it's bubbly & sludgy. In a large bowl, Add the flour, sugar, salt and mix together. Add the margarine into the dry ingredients and rub them together until well mixed. Add the yeast mixture with 1 cup of lukewarm water and mix the dough. Gradually add the water until your dough is of good consistency - not too wet or dry. 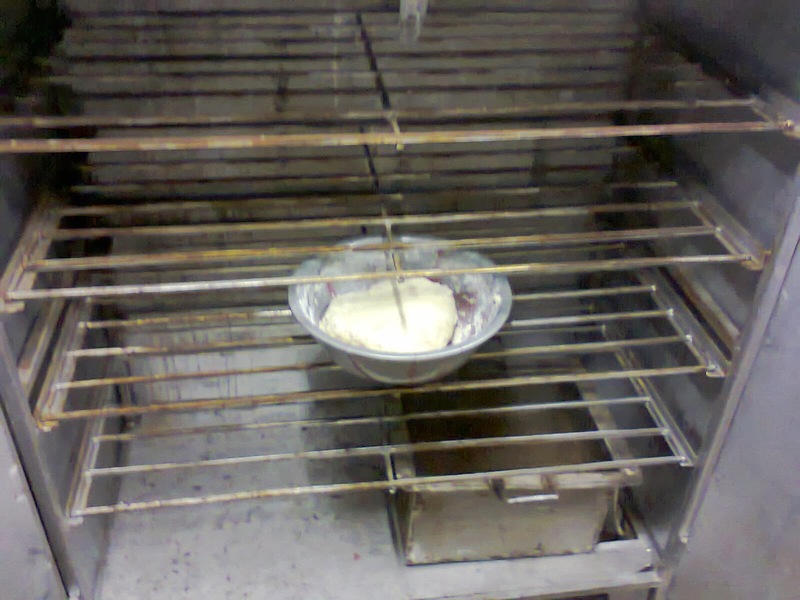 Apply a little vegetable oil on both of your hands and grease your dough to avoid it getting dry while proofing. If you have a proofer, put the dough in the proofer and it should double in size in about 30 minutes. 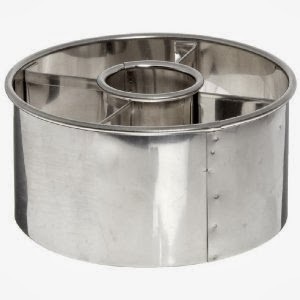 If you don't have one, you can make-shift one, or just cover the bowl with a dish towel and leave it in a warm area for about an hour until the dough doubles in size. 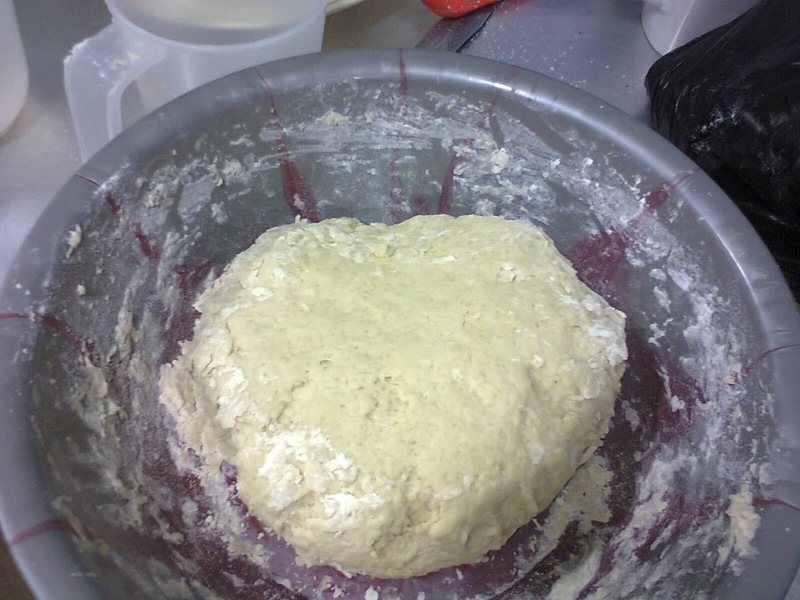 Remove the dough from the bowl and on a floured work surface; start kneading it. Knead the dough for about 5 minutes, then divide the dough into 3 sections. Take each section and using a rolling pin, roll it out about 1/2 inch thickness and cut out donut pieces using a donut cutter. If you don't have one, you could use a utencil that is a large circle and a small circle. After removing the donut pieces, roll up the left over dough into a ball and roll it out and cut out pieces again. Grease and flour a baking sheet pan and place the donut pieces on it, make sure to leave enough space for the donuts to rise. 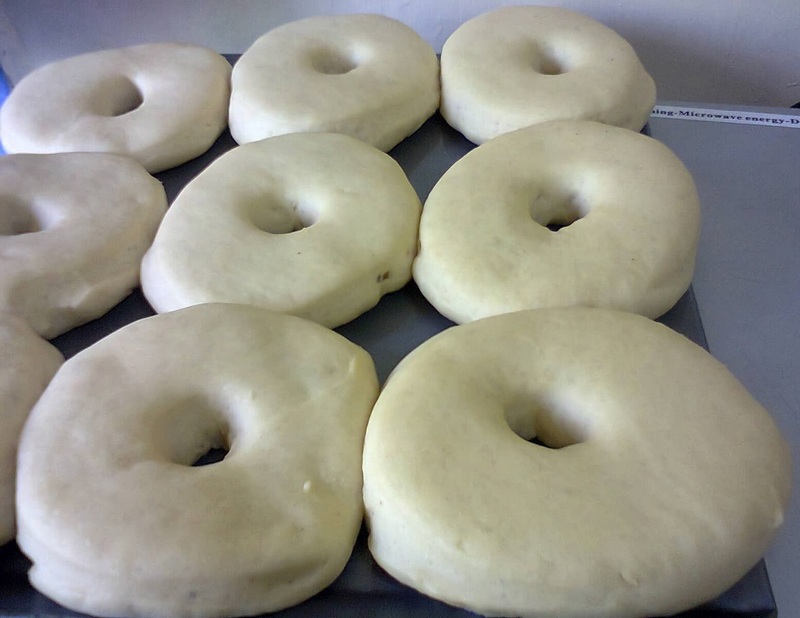 Place them in a proofer or let them rise the second time until they are a preferred size. 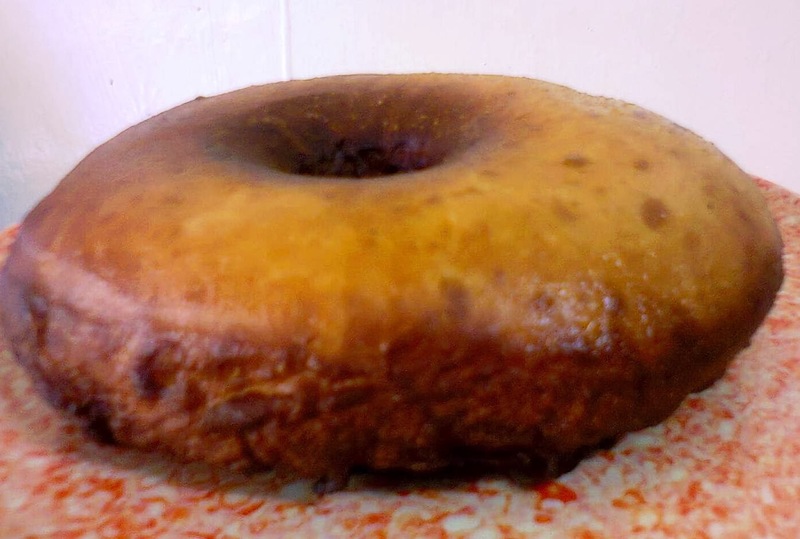 In a large frying pan or wok, heat up the vegetable oil to a medium temperature (make sure it's not too hot, it will burn the donuts before they cook inside). Start frying the donuts, pick up the raw donuts one at a time with a flat floured spatula to maintain the shape. Fry all the donuts and place them on a tray lined with paper towels or grease-proof paper. Let them cool and you can serve them plain or coat them with cinnamon sugar (mix sugar - 1/2 cup & 1T of cinnamon powder). You can also glaze them with royal icing, glaze or chocolate Ganache. I m very lucky to be found your blog. 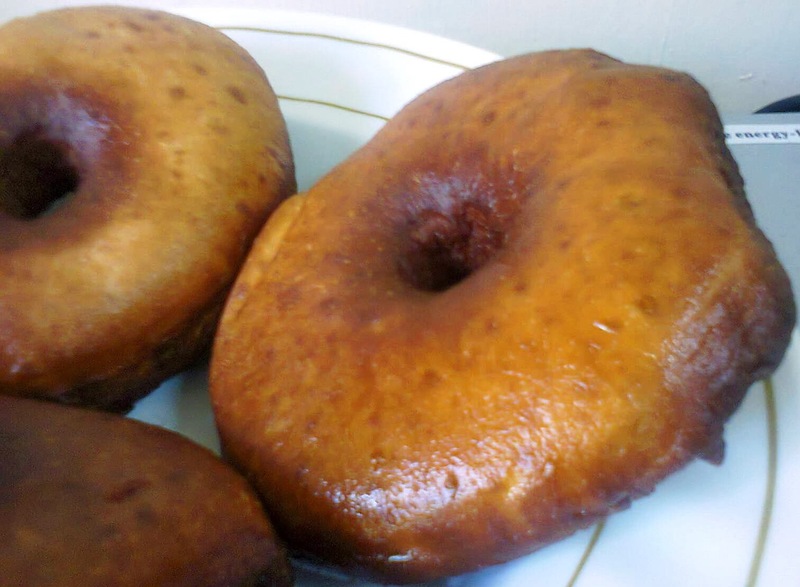 You give me a lots of new idea on making Fried Yeast Donuts.very happy to read your blog n copying your recipes. Thank u so much. I love baking n trying to be a good Baker.